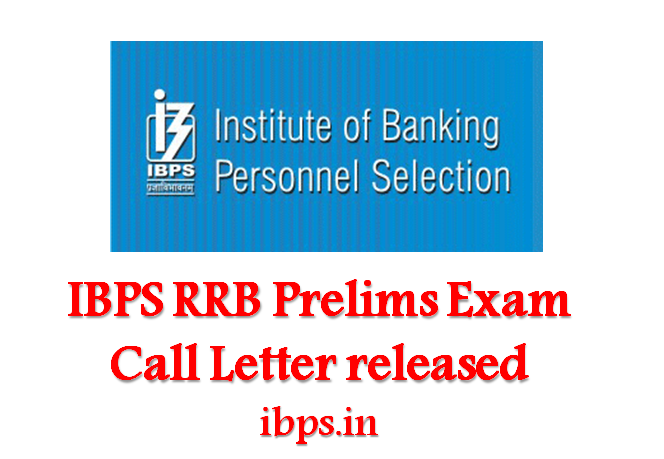 IBPS has released call letters for RRB preliminary exam for Officer Scale 1 and Office Assistant (Multipurpose) post. Candidates can download the call letter from the official portal / ibps.in or else from here. Institute of Banking Personnel Selection / IBPS will conduct preliminary examination for recruitment to the post of Officer Scale 1 and Office Assistant (Multipurpose) for Regional Rural Banks. While the examination for Officer Scale 1 will be held on 05-06 November, the preliminary exam for Office Assistant (Multipurpose) will be held on 12, 13 & 19 November. Candidates who have registered for the exam can download the admit card. IBPS RRB admit card will have detailed information on Centre, venue address, date and time for examination. Additional call letters will be issued for scribes as well.